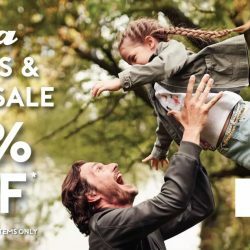 30 Nov - 2 Dec 2018 Bata: Friends & Family Sale with 30% OFF In Stores & Online! 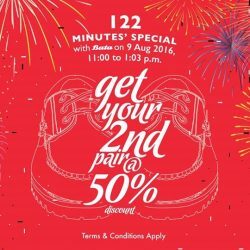 Did you miss Bata's Red Thursday Sale? Fret not, join their Bata Friends & Family Sale by flashing below image at any Bata stores or use coupon code online to enjoy 30% off! Offering style, comfort and quality at the best price, Bata has a wide selection of footwear for the entire family. 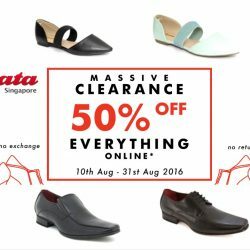 Shop at www.bata.com.sg and take a massive 50% off everything from 10th to 31st August! Men's dress shoes from $15, North Star sneakers from $9.97, flats from $1.97 and more! 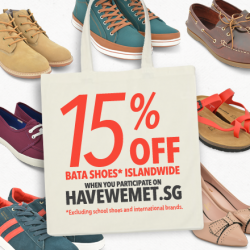 Bata: Hot Bargains from $15 Online! Hot Bargains. Brought to you by BATA. 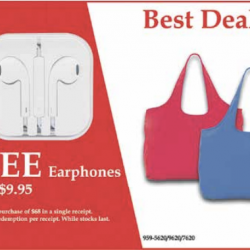 Catch them at the Singapore EXPO for great deals this Friday to Sunday! Bata Sale! Valid till 13-15 Nov at 10am to 10pm. Located at Singapore EXPO Foyer 2. 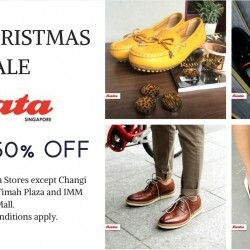 Get your new shoes at Bata now with their pre-Christmas Sale up to 50% off! Available at all Bata Stores except Changi City Point, Bukit Timah Plaza and IMM Mall. Terms & Conditions apply. Last chance for new school shoes before school starts on Monday. 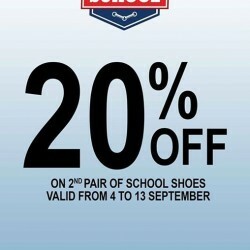 Save up to 20% OFF on 2nd pair of school shoes valid from 4 to 13 September 2015. 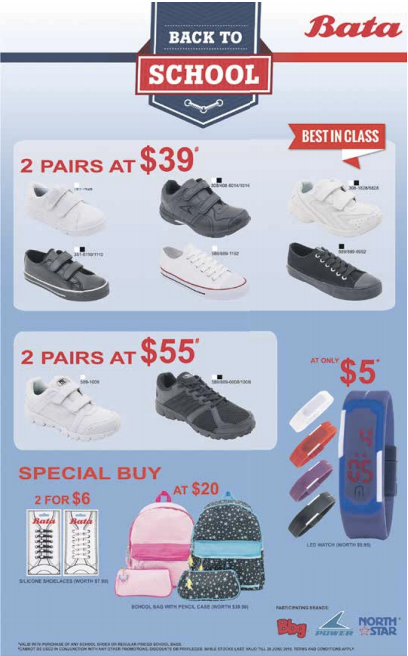 Enjoy Bata offers Shoe's 2 for $25. 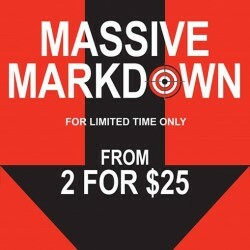 Check out the Massive Markdown Sale at the following stores for the month of September. For limited time only. Valid only at Changi City Point Compass Point IMM Jurong Point. 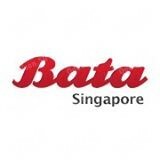 Bata, Changi City Point Compass Point IMM Jurong Point. Hey there shopper's! It's OCBC Thursday again! 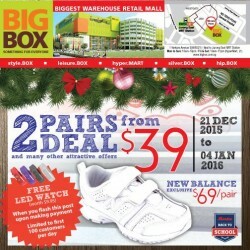 Enjoy 28% OFF + additional 5% for OCBC card members in their Bata x Rakuten e-shop. Enjoy! 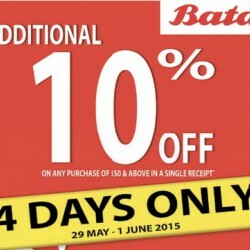 Come and enjoy by our Bata stores to enjoy fantastic offers. we are giving away free selfie sticks* worth $12.95 to help you capture that special family moment. Still have some last minute shopping before Hari Raya?so hurry grab yours today! 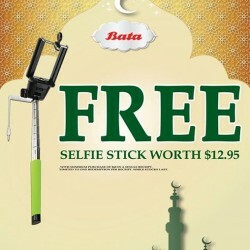 Enjoy and get this free selfie stick worth of S$12.95 only at bata so hurry grab yours today! 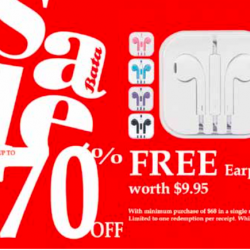 Get up to 70% off plus free earphones (worth $9.95), best deal 2 for $30 @ Bata. So, what are you waiting for? Come and hurry! 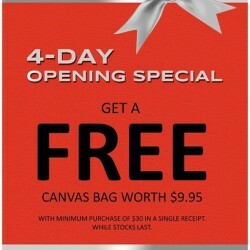 Come and enjoy this special opening for 4 days only and get a free canvas bag worth of $9.95 with minimum purchase of $30 in a single receipt while stocks last. 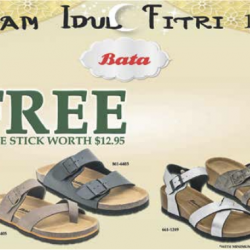 Only at bata so grab yours today! Enjoy best deal up to 70% off @ BATA. So, what are you waiting for? Come and hurry! Enjoy and get this back to school sale at bata store. hurry grab this now! 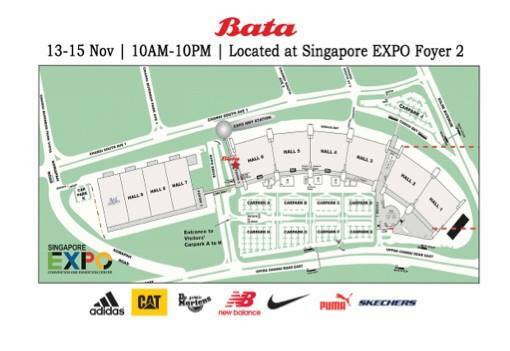 Bata welcomes all athletes! Simply flash your pass to enjoy 10% on regular-priced footwear and bags discount at the selected outlets. 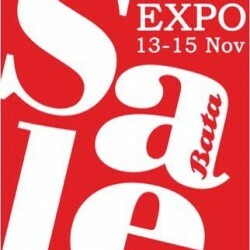 For all shoppers out there, Bata is having up to 70% off Sale plus 10% off. Just present the original coupon upon redemption. A minimum purchase of $50 on regular-priced items is required. Valid for Bata house-brands only. Not applicable for school shoes, hosiery and shoe care products. Valid till 4 June 2015. 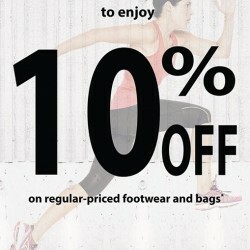 Enjoy 20% Off 2nd Pair of Footwear @ Bata, till 21st May 20115. Bags are like friends...you can never have too many! 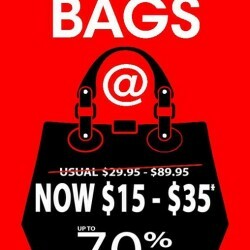 Grab your bags this weekend at all Bata stores islandwide! for Up to 70% off. Write a message to your best friend and receive 15% off Bata shoes. Excluding school shoes and international brands. T&Cs apply. 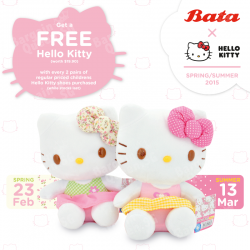 Bata x Hello Kitty brings you Spring/Summer 2015. Get a Free Hello Kitty (worth $19.90) with every 2 pairs of regular priced childrens Hello Kitty shoes purchased (while stocks last). 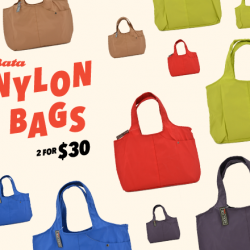 Bata Shoe Singapore offers Bata Nylon Bags 2 for $30 (UP: $19). Head down to the store now to enjoy these. 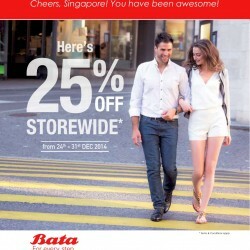 Bata Singapore offers 25% OFF storewide from 24 to 31 Dec 2014 at all Singapore stores.